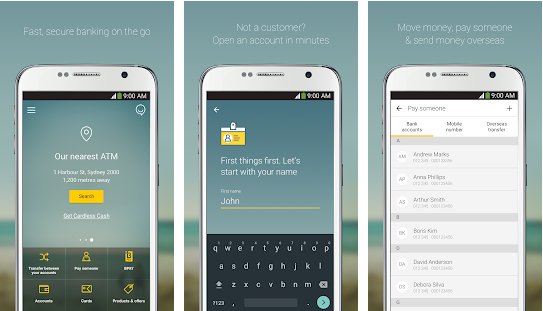 Why Should You Build a Mobile Banking App? The main reason for developing a mobile banking app is competitiveness. 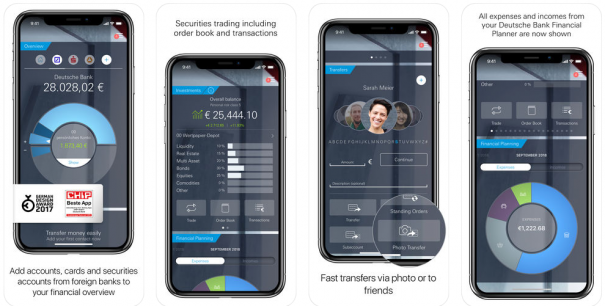 An application stands out among numerous ordinary tools, as it has turned into the most convenient and effective channel of interaction with customers. Today’s consumer would rather choose a bank with a convenient website, Internet banking, a user-friendly mobile application and speedy services; indicators such as interests and deposit rates, or the place of a bank in some ratings, are placed on the back burner. Hence, to win the loyalty of clients and remain competitive, a bank should be mobile. Read also: Why Do You Need a Mobile eCommerce App? In addition, App Store and Google Play have already become a giant marketing machine that can bring you thousands of clients, provided that your app is ranked among the top. 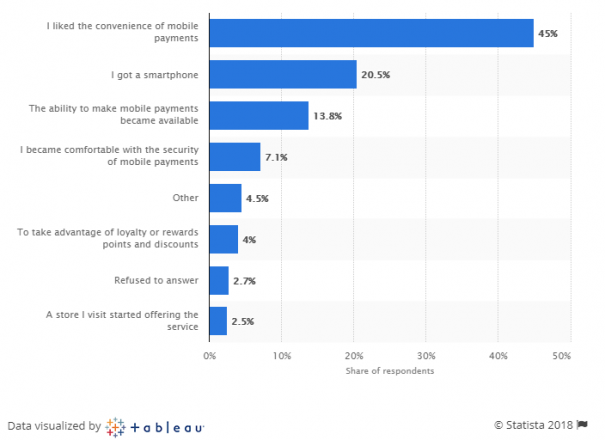 What are the main reasons you started using mobile payments? As of June 2018, the financial business is in the top of the most popular Android app categories worldwide, taking 25.53% of the market share. 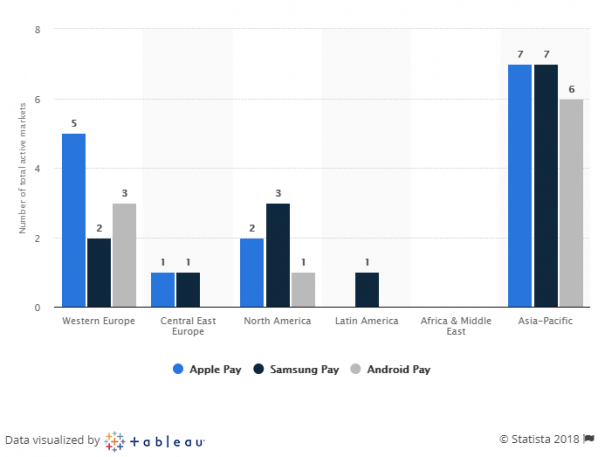 Statista also provided data on the availability of the world’s leading payment providers Apple Pay, Samsung Pay and Android Pay in global regional markets. 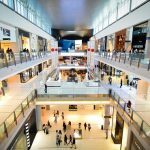 It turned out that the Asia-Pacific region has the highest number of total active markets across all three payment systems. 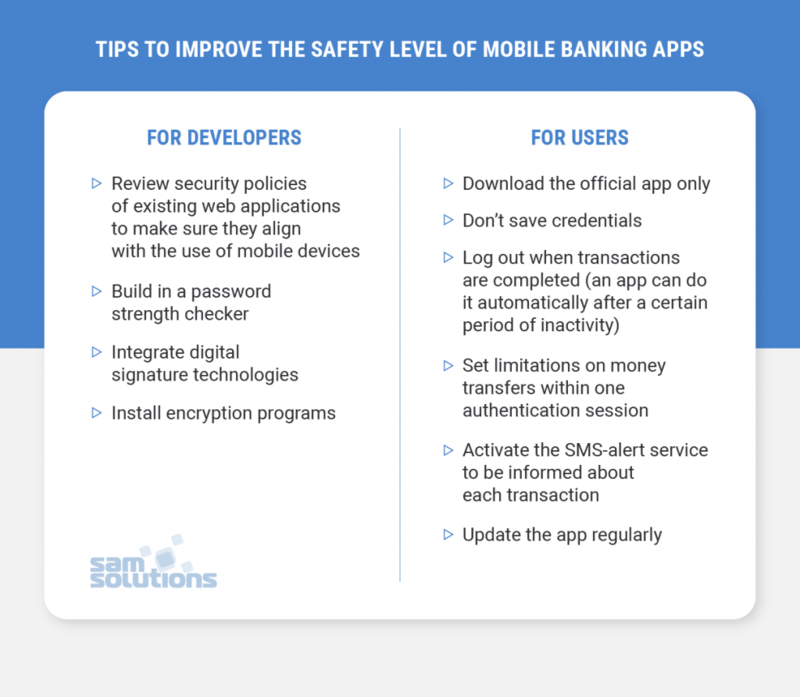 When you create a mobile app for banking, the two most important features that should be considered are security and simplicity. 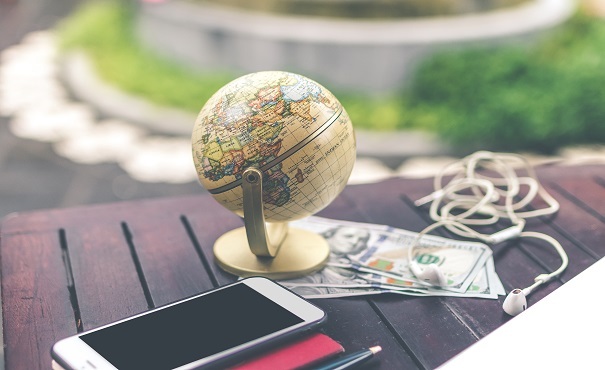 In light of numerous credit card data leakages around the world, most consumers are concerned about the security risks involved with mobile payments. Therefore, responsible mobile banking app developers always make security a priority. Here is a list of the best practices for developers and users that can reduce or completely eliminate potential safety risks. 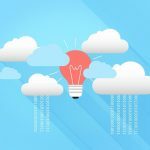 The overall complexity of a mobile solution is an even stronger disincentive than data safety risks, hence, try to make it as simple as possible. The vast majority of users don’t need the complete range of banking functions in their smartphones. They just need to perform common operations in one or a couple of clicks. Instead of copying your website banking into an app, you should build its lighter version. 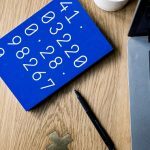 In this section, you will learn how much it may cost to develop a mobile banking application and what steps the process consists of. On average, the planning stage lasts from two to five weeks and may cost $5,000–$25,000. Designers get to work prior to developers because it’s crucial to look at the app before starting to code it. The designers’ team works in accordance with the task list created on the basis of the conducted research. They develop UI wireframing, UX design and mockups. This stage may take two weeks and more, and the average price is about $5,000. However, the cost always depends on the number of screens in the app (each screen requires its own design), so the expenses may rise or fall. The next task is to vitalize the completed design. Software engineers perform two parts of the development process — frontend and backend coding. Frontend development deals with the user interface and turns it into the functioning code. Backend development deals with the server-side configuration, data integration and security. Most IT companies adhere to the agile methodology of software development. The process is iterative and interconnects with continuous testing, which helps reveal and fix bugs at early stages. The minimum duration of the development stage is five weeks for a simple app. A more complex product will require up to five months. The cost of this stage varies greatly and may exceed $100,000. It depends on whether you create a native or a hybrid app, what platform and tools you use, and how many features you want to include. We’ve already mentioned that different types of tests take place during the development process. After the product is completed, it undergoes the final testing to ensure that all the components work in harmony. The testing stage takes up to four weeks and costs $5,000–$10,000. At this point, your solution is released to end users. Before the official release date, active marketing and advertising should take place to attract as many users as possible and get enough feedback. The marketing campaign can be carried out in social media, with the help of popular journalists and bloggers, via search advertising and email circulation. The cost of this stage is hard to assess. Nevertheless, marketing should be an obligatory point in your budget. Further maintenance and updating of a mobile banking app are crucial for its successful performance. 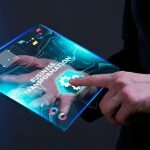 This is a post-development phase and its cost is not included in the total expenses for app creation, though it should be also considered in advance. In the report by Clutch, it is mentioned that the budget for a successful complex application should range between $200,000 and $500,000. At the same time, small and simple solutions can be built for $25,000–$50,000, which is a good option for startups. It should be also mentioned that the mobile banking app development cost greatly depends on the hourly rates of programmers in different regions of the world. The lower price doesn’t always mean worse quality and vice versa. Don’t be scared to consider an offshore outsourcing company, as it can save you much money and develop a project at scale. 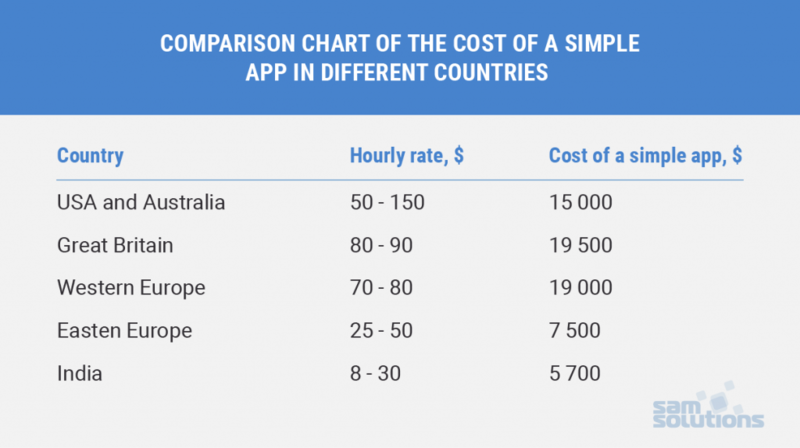 The comparison of the average cost depending on the type of an app is shown in the table below. 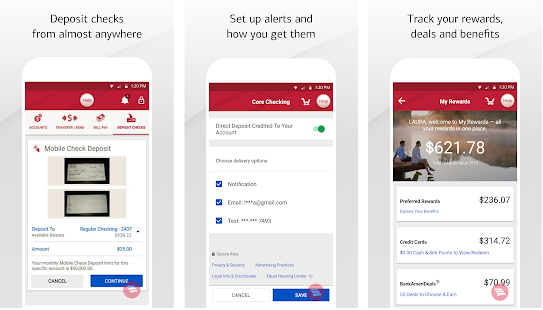 In Google Play and App Store, you can find thousands of mobile banking solutions. Here are three illustrative examples for you to grasp an idea of what a good banking app should be. A banking application is a powerful instrument for creating customer loyalty. You should choose the right provider to carefully plan and perform the development. SaM Solutions has years of experience helping companies of different sizes develop mobile solutions. Our experts focus on collaboration, agility and security, resulting in successful outcomes for our clients. Fill in the contact form to get more detailed information.